Lives in Syria have been altered forever, says Rania Abouzeid, an award-winning journalist who spent years covering the civil war. But there is still hope. Rania Abouzeid was able to blend into crowds during the early days of the Syrian conflict — despite the fact that the Assad regime had already branded her a spy. Her Arabic heritage allowed her to work as a journalist largely unchallenged, she says, even while other journalists were being kidnapped and detained. "Being low-profile, and looking the way that I am meant that I wouldn't get that second glance at the checkpoints," she says, "because they just assume that I was from the area." "That was all well and good until I opened my mouth, because I speak Arabic with a Lebanese accent," she tells The Current's guest host Laura Lynch. Abouzeid is a prize-winning journalist who was raised in Australia. She went to Syria in 2011, to report on what was then still a protest movement. As the child of Lebanese migrants, her accent posed a problem because there were Lebanese parties fighting on both sides. In Syria, she learned that she was accused of spying for foreign states, and she was wanted by three of the country's four intelligence agencies. The allegations persist to this day. The associated arrest warrants blocked her from Damascus, and other government-held areas so she was forced to focus her work on rebel territory — except for during two trips in 2013 and 2016. For years, she spent three weeks out of every month either inside Syria, or on the border trying to get in. "So much time," she says, "that I was unsure of what was my real life and what was my reporting life anymore. ...The two were melding." 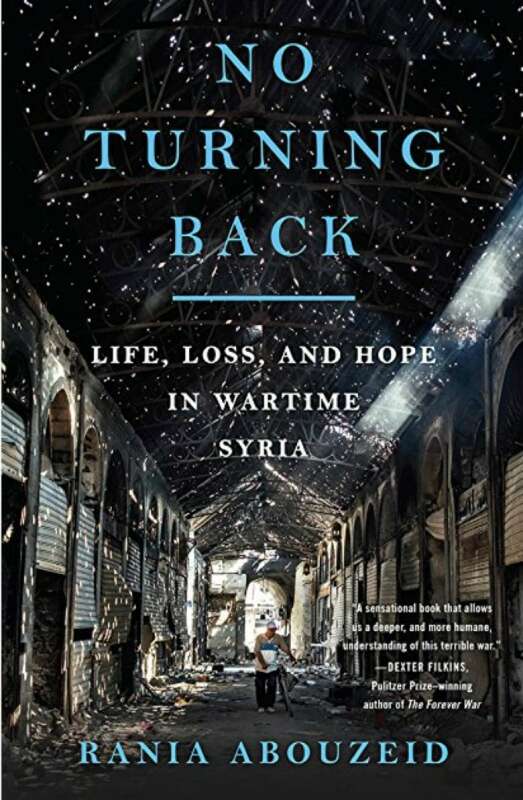 Abouzeid chronicles the people she met over those years in her book No Turning Back: Life, Loss, and Hope in Wartime Syria. It's a tale of intertwining lives that cross the fault lines of a shattered country. (NORTON)One of the lives Abouzeid documents is that of a little girl, Ruha, who was 9 when the conflict began in 2011. "I wanted to present the war through the eyes of a child who was living it," Abouzeid says. Ruha lived in the city of Saraqeb in Syria. Her father initially fought for the reform of the regime, but took up arms after the military conducted violent raids in the city. "She had her own way of processing what was happening around her," Abouzeid says. She walked to school every day with her best friend, Serene, who would regale her with tales of attending pro-regime rallies, and how much she loved President Assad. Even at her young age, Ruha knew that telling Serene she had marched for the other side would make them enemies, and that she had to protect her family from retribution. Everyone can have their own opinion, Ruha thought, deciding that she liked her friend as she was: being her friend. The danger grew and her family eventually fled to Turkey, Abouzeid says. A new culture, and a new phase of her life has allowed the trauma of the war to be papered over, but not forgotten. "It was only toward the end that happened," Abouzeid says, "when she started to become a teenager and thoughts of hairstyles and music video clips started to occupy her mind." "But she very strongly clung to the idea of family and to her hometown." "And that for me was important to convey, because in Syria so much of your identity is tied to where you're from." "This little girl felt that, and she felt that loss very intensely." There are many Syrias now, Abouzeid says, as the country has been carved up by competing factions. "There are entire cities that have been reduced to rubble," she says. "There are neighbourhoods where there isn't a building that hasn't been pockmarked by bullets, or had its upper floors pancaked on top of each other." 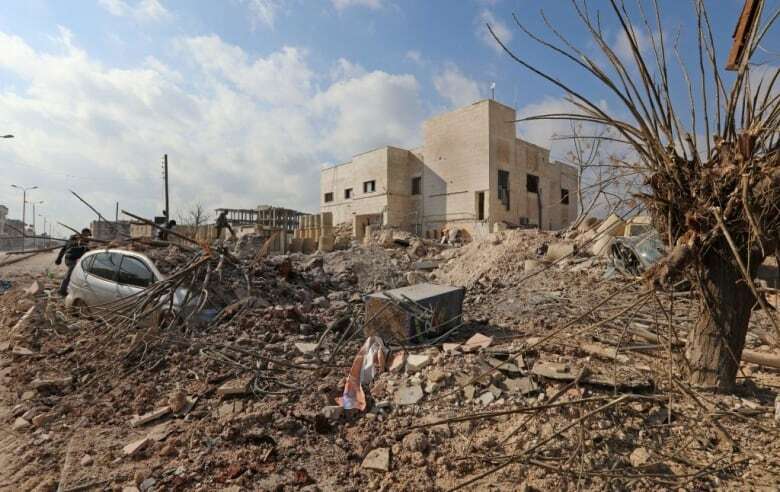 "Many parts of Syria are mountains of rubble." The immense suffering she has seen has hardened her, but she has not lost a sense of hope. "Hope really springs from from small individual acts," she says. She says that Ruha's father returned to Syria to build a factory, to try to build something for his community. "It may seem small and insignificant, but that's the building blocks. That's where it starts, that's where it springs from — from people like that." This segment was produced by The Current's Geoff Turner.